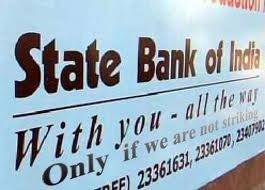 BE/ BTECH required for Clerical Cadre Vacancy in State Bank of India (SBI). 60% marks in 10+2 (55% marks for SC/ ST/ PWD/ XS) OR A degree with 40% marks (35% for SC/ ST/ PWD/ XS) from a recognized University. Age Limit: 18 – 28 yrs. Mode of Selection: Through written test followed by interview. Posted in Aeronautical, Aeronautics, Aerospace, Agricultural Engineering, Agriculture Engineering, Apply online, Architecture, Automobile, Automotive, Aviation, Avionics, Bank job, Chemical, Civil, Computer Science, Control, Control and Instrumentation, Electrical, Electrical & Power, Electrical and Electronics, Electronics and Communication, Electronics and Instrumentation, Electronics and Telecommunication, Freshers, Government Job, IT, Job After Btech, Job BUzz, MBA, MCA, Mechanical, Metallurgical, Mineral, Mining, With experience, Without Experience. Tags: 2010, 6100 Clerical Cadre, Apply Online Upto: 1 November, BE/ BTECH Jobs, Government Jobs, recruitment, SBI, September 2010, State Bank of India on September 27, 2010 by kavita joshi. Hey the post been now be history try to update it.